Robo Wunderkind is a robotics kit that allow kids ages 6+ to build their own robot, have fun, and pick up basic coding skills along the way. Just. like. that. 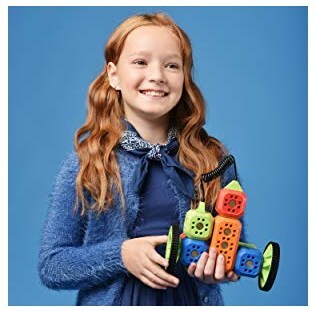 Meet Robo Wunderkind, a fun robotic kit and natural way to introduce a girl or a boy ages 6+ to programming and coding. Using color coded blocks, a child assembles their working robot and programs it to perform real functions. 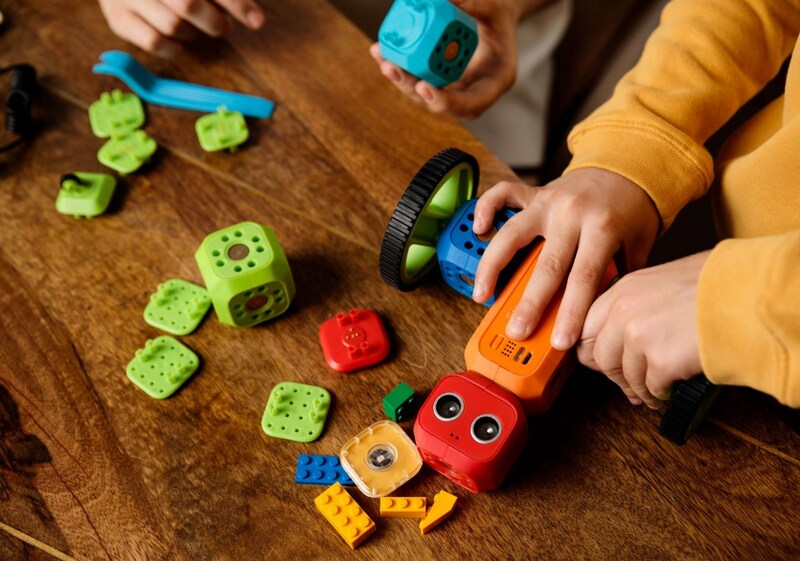 We have packed complex technologies into simple cubes to create a toy that gives kids the sense of creation and ownership of their own projects. Robo’s color coded blocks are made for many hours of enriching play. Robo is created for kids aged 6-12 to turn complex technologies into a simple and fun game. Snap the modules together, build and rebuild - there is no wrong way to play! Use LegoTM connectors to customize your very own build. 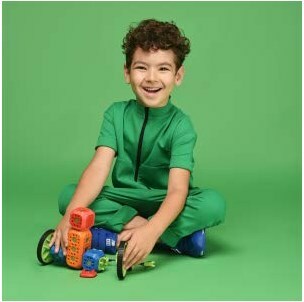 Starting at the age of 8, you can get your child started with Scratch, a programming language developed by the MIT Media Lab as part of their Lifelong Kindergarten project. 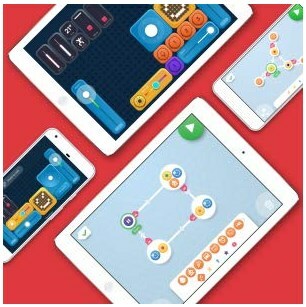 Once your children have mastered the basics, they will be able to create their own games and challenges, share them, and co-create within the Scratch community. Use our intuitive apps to steer and control your robotic builds or easily program them with our smart nonverbal coding language and see them going live! Thanks to sensors and motors, these little robots can see, move, make sounds and react to the world around. 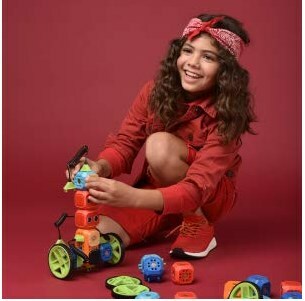 While playing with robotic kits, kids quickly grasp the key concepts of coding, engineering and develop creative and spatial thinking, as well as problem solving and fine motor skills. The world around us changes rapidly and so do the learning experiences. Robo helps children to master essential coding skills through engaging hands-on play. Our award-winning modular kits are created to help develop abstract and algorithmic thinking, coding and computation, problem solving and innovation. Most importantly, the learning happens intuitively and naturally, allowing a kid to acquire a confident “I can do it!” attitude towards programming. The robotic kit is popular among those seeking smart educational value delivered via engaging play. Adults are often surprised what their kids can accomplish with Robo! It can be used in a variety of settings: at home, in school, or in a STEM club. Both parents and educators choose Robo Wunderkind for its variability, robustness and positive learning experience. Robo Wunderkind is part of your world. Older kids and curious adults can program ROBO Wunderkind to do anything they can imagine in any programming language they choose. We provide an API for those who want to build apps of their own for their robot. Our app’s visual programming interface is super intuitive: kids with no previous exposure to coding will easily figure out how to program in our app. There are no limits to your child’s imagination and we are working with educational experts in the field to build a library of different learning adventures for Robo Wunderkind. We can promise you one thing: playing with Robo Wunderkind will never get boring. So how does Robo Wunderkind actually work? 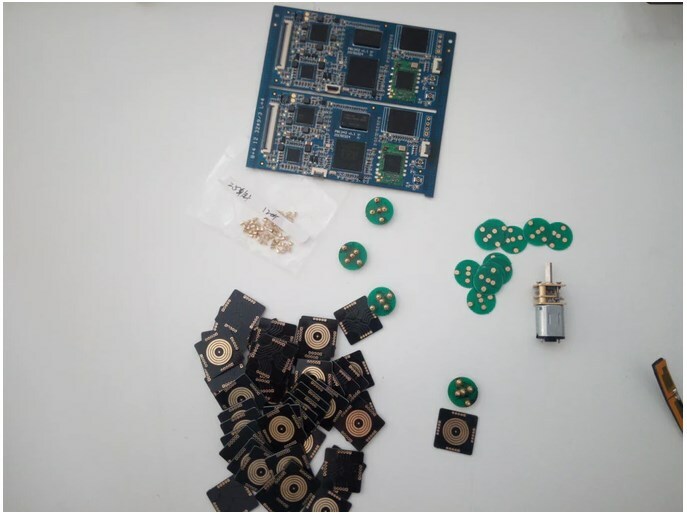 We take sensors, motors, batteries, circuits, and other electronic components and embed them into the blocks. Why cubes? Because they are the most intuitive shapes for children to build with. Each cube has its own function: there is a battery cube, a microcontroller cube, cubes with motors, cube containing a Bluetooth module, and cubes with sensors. Data and energy transmission work wirelessly. The connection system we’ve developed allows for a wireless electrical and information link between the blocks. The connection to a smartphone or tablet works through the Bluetooth module. A built-in lithium polymer battery provides approx. 2 hours of continuous play. To use our robots, you need to use a Bluetooth 4.0/LE or Wi-Fi compatible device. We believe that choosing the right learning tools today will help children to build a successful future tomorrow. Our robots revolutionize the way children interact with technologies through educational modular blocks and apps. 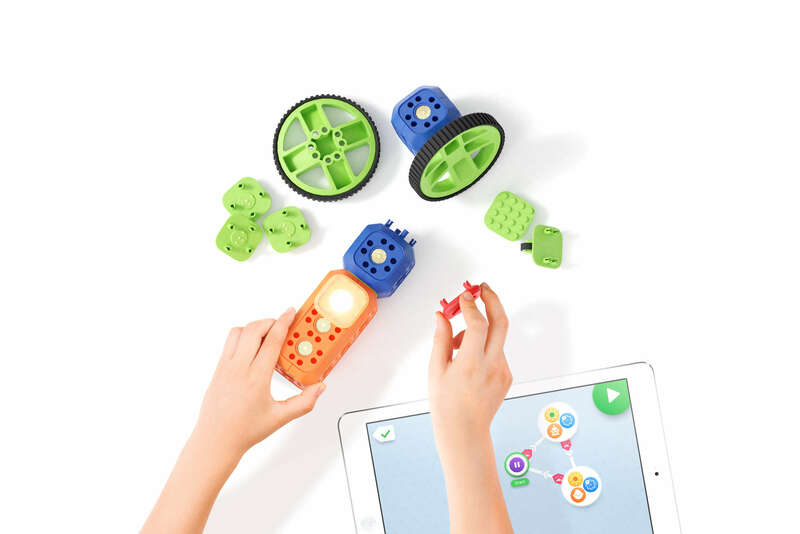 With Robo Wunderkind, kids can start building and programming robots in minutes. They also never grow tired of their new robotic toy thanks to it endless versatility. Robo Wunderkind team strives to make robotics and coding as easy for younger kids as playing with Lego. We turn creating, exploring and learning with robotic blocks into a tangible open-end play. Thanks to the intuitive non-verbal interface of our two Apps (Robo Code and Robo Live), young inventors quickly discover the functions of each module and how to use them in various ways. Creating robots has never been easier - just snap the blocks together and play right away! Being an edutech startup is all-in-all a terrific life experience, but the best part for our team of devoted engineers and educators is creating a nurturing environment for the future bright heads to exercise a vital 21-century skill - confidently managing technology. Is this compatible with the Kindle? Yes, it is; our apps are not yet in the Amazon/Kindle store, but it is possible to download them and manually install them on the Kindle tablets. Please reach out to us at support@robowunderkind.com and we'll send you the files with the apps. What version of the iOS is required for the app?